Zhang Yan is responsible for the company's marketing, sales and customer relations activities in the Mainland China market. She has over 22 years of experience in the satellite industry with various management positions, covering areas in engineering, sales and marketing. 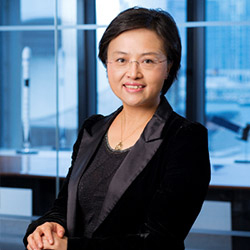 She joined AsiaSat in December 2008 as the Chief Representative of AsiaSat Beijing office and General Manager of CITICSat. Prior to joining AsiaSat, she worked for a satellite operator for more than 15 years. She holds a Bachelor's Degree in Engineering, majoring in Image Transmission and Processing, and an Executive Master’s Degree in Business Administration, both from Beijing University of Posts & Telecommunications.